Designed with dual-pane lenses, ventilation, and aggressive styling snowmobile goggles reduce fog, increase vision, and make it fun to ride. Klim's Goggles feature premium material, quality craftsmanship, and the name you can trust - KLIM. Plus they integrate perfectly with Klim helmets. 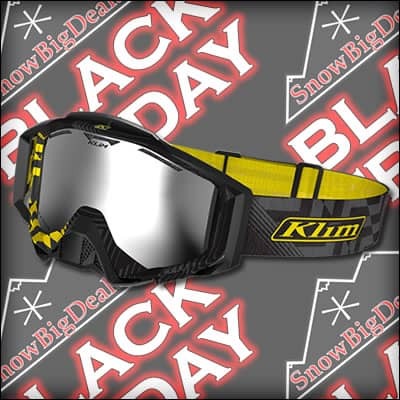 Save big on the rad styles of goggles from brands like 509, Klim, FXR, and more during SnowBigDeal's 10-Day Black Friday Sale.